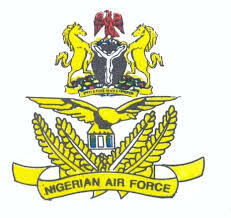 Nigerian Air Force (NAF) Direct Short Service Course, DSSC Recruitment Dates, Time, Venues and Requirements for Screening/Interview of Candidates for 2018/2019 Session. This is to inform the general public and candidates who registered for the Nigerian Air Force (NAF) Direct Short Service Course (DSSC) 2018/2019 that the screening exercise for all shortlisted candidates will now hold from 9 to 22 December, 2018 at NAF Base Kaduna. This is to ensure the smooth conduct of the Exercise. (Abia, Adamawa, Akwa Ibom, Anambra, Bauchi, Bayelsa, Benue, Borno, Cross River, Delta, Ebonyi, Edo, Ekiti, Enugu, FCT, Gombe, Imo, Jigawa, Kaduna and Kano State) - 9 – 15 Dec 18.